Vibha volunteers are in constant touch with representatives on the ground aiding Cyclone Aila relief efforts. Here’s a brief update. Click here to donate to the relief effort! Initially when relief camps were set up, a combined committee (named as the Sarvodalya committee) consisting of different branches of the government and local NGO’s oversaw relief operations in these camps. With villagers gradually returning back, the relief work has been delegated to the local Panchayat committees and NGO’s. Vibha has sanctioned $10,000 for short term relief to Baikunthapur Tarun Sangha (BTS), of which $6400 has already been disbursed. The funds will be used to provide short term relief to areas served by BTS. Short term relief will include distribution of items such as plastic sheets for temporary shelter, blankets, rice, wheat, clothing materials and cooking utensils. Ironically, this disaster is not getting the amount of media coverage as it should. Sunderbans is well known to be a flood prone region, however Cyclone Aila was not the regular type. 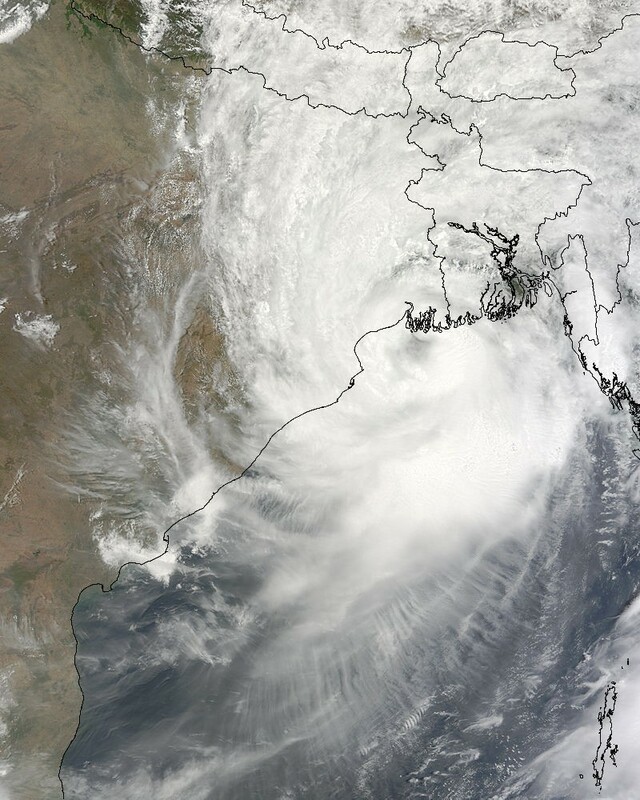 This NASA satellite picture shows how immense the cyclone was. The Government of India is currently estimating the damages. A team was dispatched from the Central Government to inspect the area. Based on their report, a decision will be taken whether to declare Cyclone Aila to be a national calamity! While government actions are progressing, it could be be slow to come and the residents need immedite help. It is time for us to come forward and do our utmost to help the cyclone ravaged community. Please donate generously to provide much needed emergency relief to Cyclone Aila victims.